How hard can naming your dairy goat possibly be? 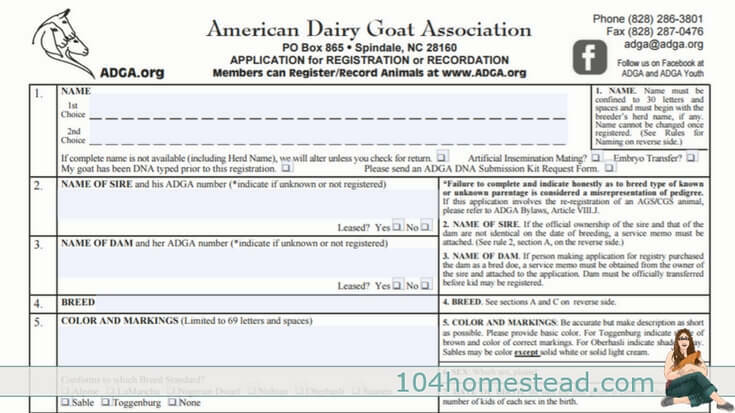 Well, if you are planning on registering your goat with the ADGA (American Dairy Goat Association) it might be a bit harder than you think. 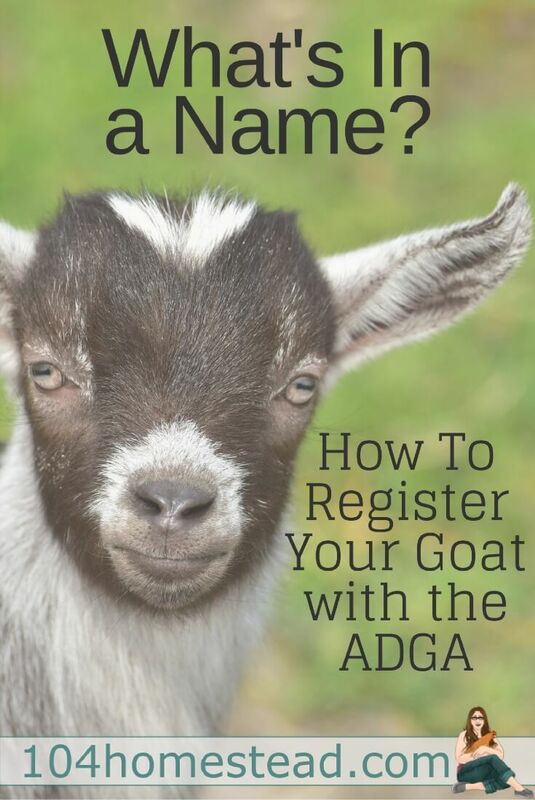 The American Goat Society (AGS) has rules of it’s own, but ADGA’s policies for naming your dairy goat are a bit more strict, so those are the ones we are going to discuss. Your dairy goat’s name is limited to 30 letters (spaces included). After you feel you’ve found the perfect name that is the proper length and you send it in, you might think your work is done. It may not be. Duplicate names are not allowed with the same herd name, so unless you check the box for return, the Secretary-Treasurer may alter the name. This could include adding to, taking away, or substituting any aspect of the name. If you checked the return box they will return your form and you start the process over again. This won’t often be the case with your own herd, but it may cause problems if you are purchasing a kid or bred doe from another herd. That herd may already have a Black Dahlia, so you would need to pick something different. Often you can simply run your chosen name past the breeder, but the breeder may not know the names selected by other kid buyers. It’s wise to check the box if you want to be sure you end up with a name you want. The breeder claims the herd name. Whoever owns the doe at the time of breeding has the herd name spot in the name. My goat, Sadie, is a wonderful example. She was bred when I purchased her. Although my herd name is The 104 Homestead, her kids have the registered herd name of her former owner, Feather N Scale. Any subsequent kids will have our herd name, even if I use Feather N Scale’s bucks for breeding. Dairy goats without a herd name get the word “the” in it’s place. 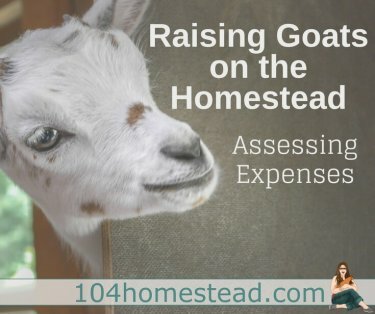 My herd name happens to start with “the” – The 104 Homestead – but if we didn’t have a registered herd name, our goats would simply have The before the name. Confused? Let’s take this year’s doeling, April Showers. If we did not have a registered herd name, her ADGA registered name would be The April Showers. Since we do have a herd name it would be The 104 Homestead April Showers (except that she’s a Feather N Scale goat, but I digress). Your dairy goat’s name cannot contain a registered herd name. This is because using a herd’s name in your goat’s name can not only confuse people and imply incorrect lineage, it’s an infringement on the person’s herd name. Old Mountain Farm is a well know and well respected herd. I happen to have one of her goats (Old Mountain Farm Abigail). 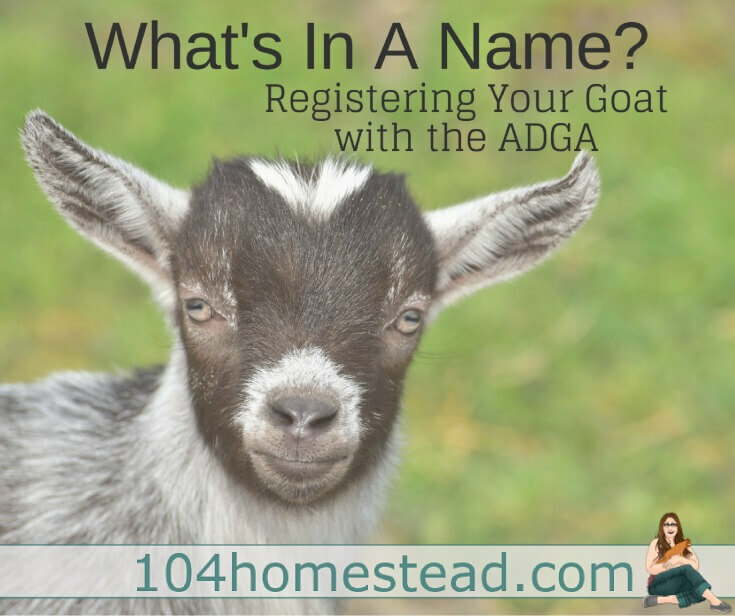 It would be very sketchy to register your goat without a herd name if you named it Old Mountain Farm. When people saw The Old Mountain Farm they would think your dairy goat came from these impressive lines. Naming your dairy goat something offensive is a big no-no. Offensive names is not only against ADGA policy, but it is highly disrespectful towards the breeder of the goat. The breeder’s herd name will stick with that goat forever and the lineage will be documented eternally. Some herd owners and breeders will actually request name approval before registering goat kids. Don’t even walk the line. Err on the side of caution when it comes to naming your goat. Tattoo registration can be found here and herd name registration can be found here. What are your goats’ names? Share in the comments below! And many many many more. Please don’t copy any of these names. Again please don’t copy any names!